Minneapolis³, Photo by Eric F. Avery. Minneapolis³ is an interdisciplinary performance site that utilizes music, puppetry, dance, song, poetry, and interaction to create a unique experience of the city. Performances take place inside a large cube: participants randomly select what they will see and hear, enter the cube, and are immersed for three minutes in sound and visuals that explore Minneapolis and our relationships to it. 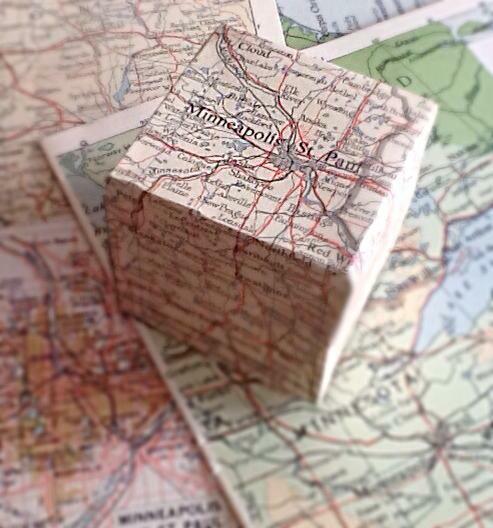 Our take on Northern Spark’s theme “Projecting the City” is based in our emotional experience of Minneapolis. We want to break down the city to its essential elements—natural, human-made, personal, and public—and expose the difference between what makes the city and what we make it into. Throughout the evening entirely different combinations of sounds and visuals are featured; at times these two tracks align and at others they seem dissonant, inspiring a wide range of responses from those inside the cube. Like our city, Minneapolis³ constantly changes, and there is something in it for everyone. Performers – Blake Bolan, Russ Dugger, Kyle Hutchins, Kit Leffler, Emily Lund, and Mason Mahoney. Minneapolis Convention Center and the Arts, Culture, and the Creative Economy Program of the City of Minneapolis in collaboration with Northern Lights.mn. Additional support provided by Bedlam Theatre.